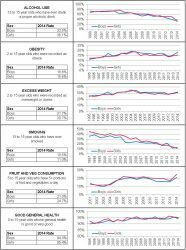 Healthy lifestyles and general health has improved greatly over the last 20 years from children, and decreases in levels of smoking and alcohol use have been more rapid than levels for adults. 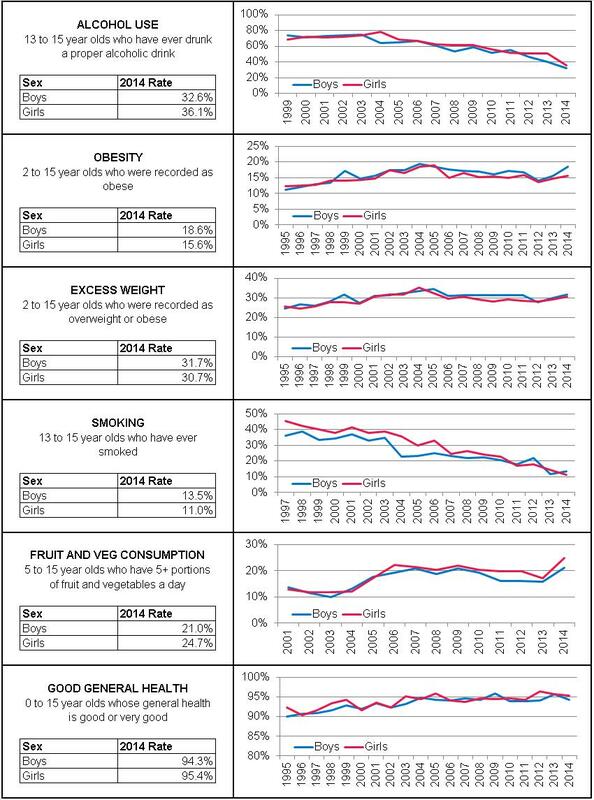 Figure 8.14 shows trends for children from the Health Survey for England. This highlights that alcohol use and smoking are declining rapidly in 13 to 15 year olds, and that fruit and vegetable consumption and general health are improving. Levels of obesity and excess weight have been more stubborn and have remained relatively stable over recent years. Whilst general improvements were seen, inequalities are still apparent, with higher levels of smoking and obesity and poorer diets in more deprived areas.